Fancy gorging on Maharashtrian delicacies while sitting in a wada (a traditional Maharashtrian mansion)? 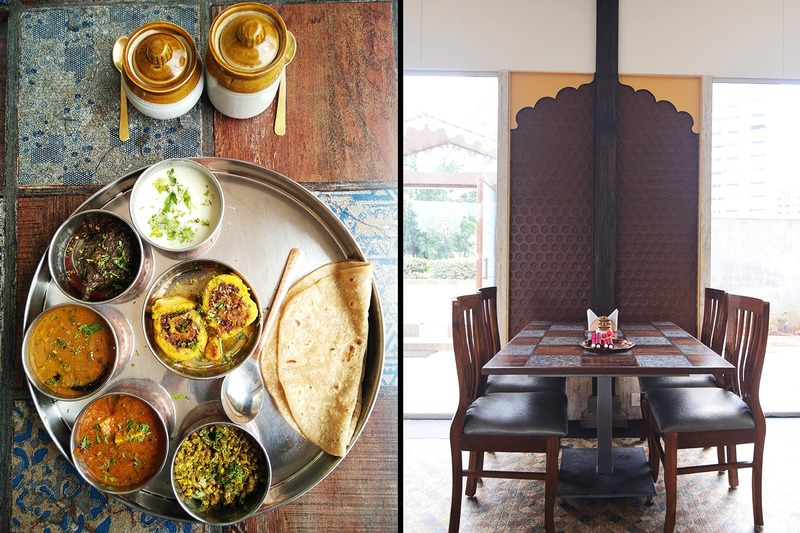 We found a place in Baner where you can have this authentic dining experience. Wada Culture, a new eatery in town is making a buzz with its authentic cuisine and traditional decor. The authentic flavours of the food are commendable. They have veg as well as non-veg thalis. We recommend you try either of these. Each thali will have a special starter called maaswadi, which is Maharashtrian delicacy made of gram flour, veggies and meat. While the non-veg thali will contain the chef's signature mutton/chicken rassa, the vegetarian fare will have usal, bharle vange gravy, spicy varan and bhakri. We love the rice options they have- the first one is a ghee laden biryani basmati bhat while other is a sticky flavoured rice called Indrayani. If you have a sweet tooth, dig into the yummy rice phirni, gajar halwa or gulab jamuns. As for the decor, the exteriors of the place are designed just like a traditional wada. While the interiors have a regular furniture for sitting, the place will soon have an outdoor seating arrangement where you can enjoy food under the sky. For the ultimate wada dining experience, they should have a provision of a sit-down meal on chaurang (a small table) and include desserts like shrikhand and puran poli in their menu. Not in a mood to eat a thali? Worry not, they also have an a-la-carte menu from where you can order Maharashtrian as well as North Indian dishes. Their non-veg starters like Bombil and surmai fry are a must-try.